Oxnard Movers is fully insured to assist residential customers with local and long distance relocations. Our movers have many years of experience and best reputation in the industry. Local moves are considered relocations under 100 mile radius. Long distance moves are considered any moves out of state or with a radius of over 100 miles. These moves are charged different rates and handled differently. We have special crews and special equipment assigned to handle them. 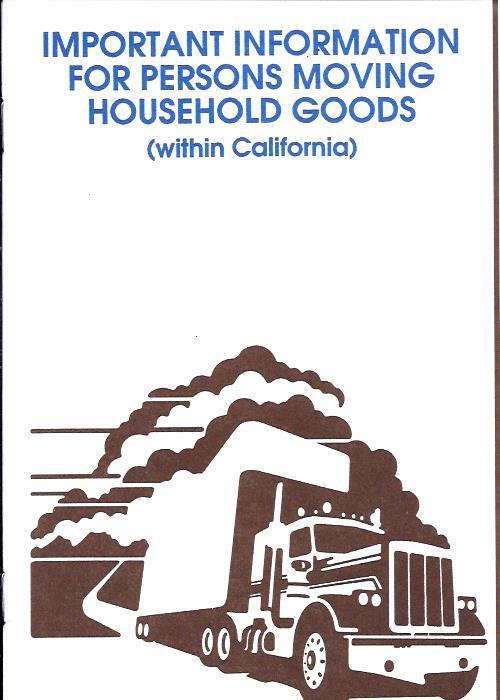 Any resident of California planning on using services of a full service moving company is supposed to receive a booklet called "Important Information for Persons Moving Household Goods". This booklet is designed to help you choose the right mover and prepare yourself for a smooth move without any surprises at the end of it. 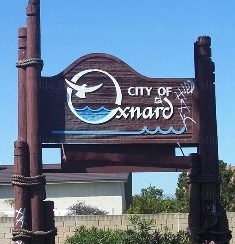 Oxnard Movers employs experienced movers. Our movers are trained to keep positive attitude, pay attention to detail, maintain composure regardless of circumstances, and hold safety above else. Our movers fulfill our customers most difficult requests. 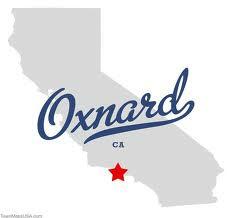 Oxnard Movers are working during most difficult weather conditions, 365 days a year! We will do anything possible to accommodate clients needs and get the best possible outcome. assume liability over the goods moved. Most movers offer three levels of liability under the terms of their tariffs. - Basic Coverage or Released Value. This no-additional-cost option provides minimum protection. Under this option, the mover assumes liability of 60 cents per pound. For example: if mover breaks a stereo system that weighs 20 lbs valued at $1,000, mover will be liable for no more than $12.00. Customers should think hard before signing for this no additional cost protection options. - Actual Replacement Value (ARV). This option ensures replacement at the actual cash value of articles (fair market value). - Full Value Protection (FVP). 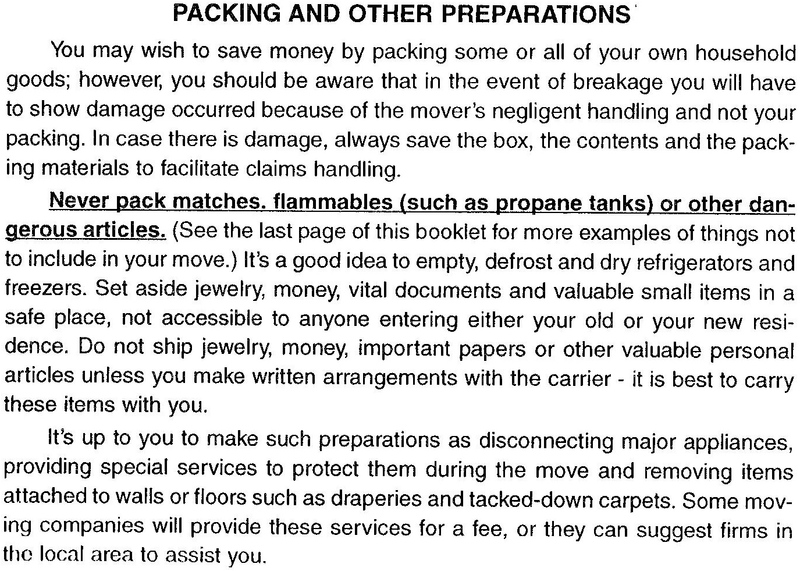 Under this option, mover is liable for the replacement value of lost or damaged goods (as long as it doesn't exceed the total declared value of the shipment). By purchasing this protection mover must repair, replace with like items, or settle in cash at current replacement value. The minimum declared value of a shipment is $5,000.00 or $4.00 times the weight of your shipment in pounds, whichever is greater. For example, the declared value of shipment of 10,000 lbs. will be $40,000.00. Unless customer specifically agrees to other arrangements the mover will assume liability based on that option $40,000. The approximate cost for FVP is $11.50 for each $1,000 for shipment of 10,000 lbs would be a premium of $460.00. 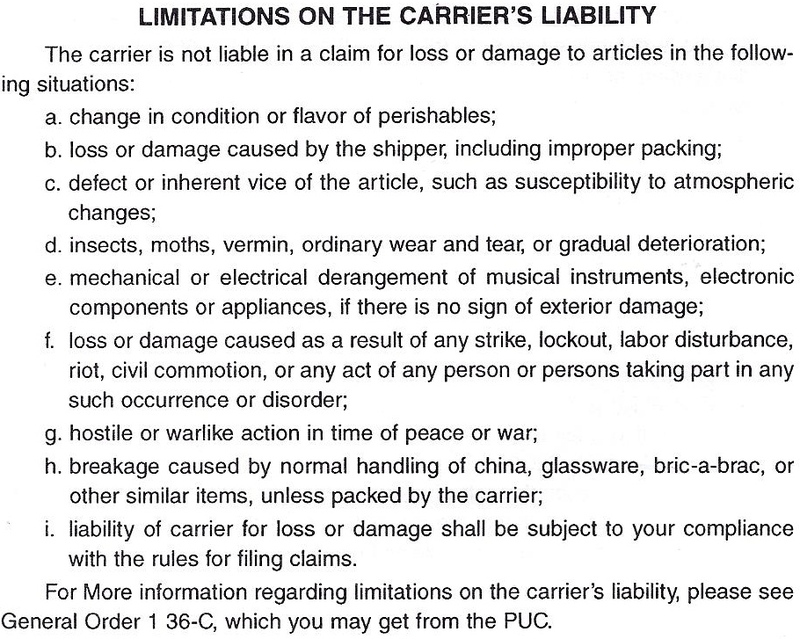 Under both these options movers are permitted to limit their liability for loss or damage to items of extraordinary value, unless you specifically list those items on the shipping document. An article of extraordinary value is any item whose value exceeds $100 per 1 pound. It is customers responsibility to study those provisions carefully and make necessary declarations. Our specialists are able to help our customers with calculations of premiums and minimum liability in regards to their specific shipments, however the final decision is with the customer.